Low solar tariff bids at the auctions, while celebrated, had raised concerns over the sustainability of assets. 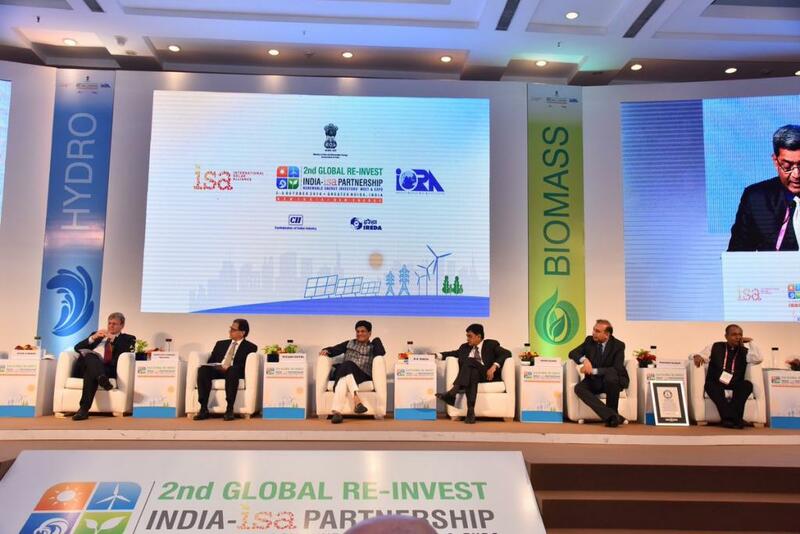 The issue found its way into public discourse at the 2nd Global RE-Invest—the government’s flagship renewable expo and conference held in Greater Noida in partnership with the Confederation of Indian Industries (CII). Slowdown in the sector has made the lenders wary. “We have sanctioned more loans for renewable assets in 2017-18 than in the previous year. But when something grows furiously, there are reasons to worry,” says C Gangopadhyay, director (Projects) at PTC India Limited. In the renewable sector, according to him, the capacities are smaller, gestation period is shorter; and as a result; the entry barrier is lower. With upfront power purchase agreements and investors looking to exit earlier, there is a need to look at long-term viability now. In a scramble for quoting lowest tariffs, the developers have had to squeeze their profits and often cut corners. It has diminished the returns on equity—a class of investment that commanded a minimum return of 16 per cent in its heyday. Off-the-record conversations with various financing entities suggest that it is now between 9 and 11 per cent. Overseas private equity investors are not going to find this appealing, even without the added extensive FOREX risks. This had led to a rise in refinancing entire portfolios to free up equity. Debt financing is also under pressure as banks are struggling with NPAs in power sector. While solar and wind projects have not featured in the list of problematic assets to date, there is a sense that the compromises made in quality could potentially become an issue in future. Michael Eckhart, managing director at Citigroup underscored the fact that when a market is government-driven, low cost is the parameter. He proposed that the auctions should also consider debt-service coverage ratio (cash flow available to pay current debt obligations) to determine financial viability of projects at that price. According to Eckhart, there was now a fear of creating a future where the projects don’t perform as expected due to quality issues and as a result, do not generate the expected revenue. Pawan Kumar Agrawal, president (Corporate Finance) at Yes Bank, agrees that the bond market in India has also suffered due to low credibility of underlying assets. He, however, is of the view that with structural reforms such as Ujwal DISCOM Assurance Yojana—which aims at financially restructuring DISCOMs and improving their performance—and government-backed payment securities to offset the off-taker risk, the scope for creating a vibrant bond market is very real. But even with payment security mechanisms in place, the larger economic conditions have been challenging. Most developers were thrown for a loop when the module prices went up. High GST slabs for EPC (Engineering, procurement and construction) contracts sent service costs soaring. Current dollar-rupee volatility has added to their woes. “Our advice to developers: do your homework. You have seen the market conditions,” says Ajeet Kumar Agarwal, director (Finance) at REC. “Instead of focusing on falling tariffs, let us look at viability of these tariffs,” he adds. However, the DISCOMs who have now come to expect rock bottom prices from solar and wind plants, are not willing to acclimatise to the changing market conditions. The last couple of months have seen cancellation of solar auctions on account of rising tariffs (ranging from Rs 2.7/kWh to Rs 3.5/kWh), which DISCOMs deem unacceptable. Their apprehension has been further validated by recent proposal from the government to cap solar tariffs at Rs 2.5/kWh to 2.68/kWh, without and with safeguard duties on modules, respectively. It is unclear if there will be any revision to this stance. On being questioned whether the caps make sense in the current scenario, KS Popli, chairman at the Indian Renewable Energy Development Agency, stated that low tariffs are the only way to get DISCOMs to increasingly procure renewable energy. While this is good news for cash-strapped DISCOMs, it does not bode well for the renewable sector which has a long way to go to achieve its target of installing 175 GW of capacity by 2022.